Holidays are the time of year to enjoy family, friends, and loved ones. Thanksgiving is right around the corner, and for most, it’s the most festive and anticipated holiday. While you might have a lot of plans for cooking this year, this is also the time to recognize the fire and burn risks involved with preparing such a meal. 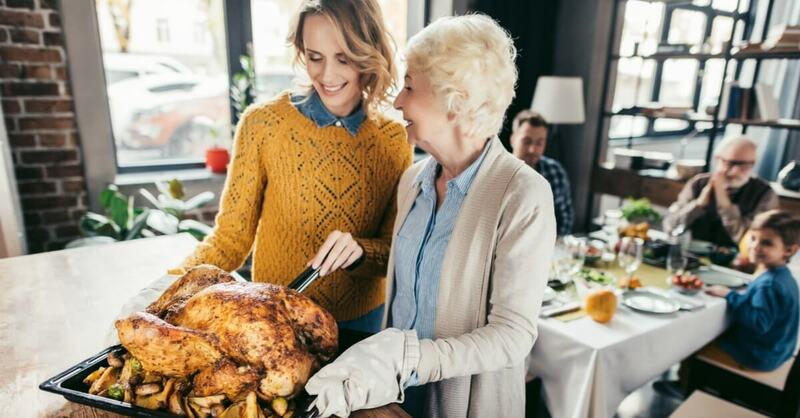 In fact, the United States Fire Administration estimates more than 2,000 residential fires are reported each Thanksgiving, with cooking (69%) the leading cause. Going hand in hand with home holiday safety, we’re going to cover cooking safety next. Protect your assets and your loved ones with a comprehensive Ann Arbor Home Insurance policy. Never leave the stove top unattended. It might be tempting to check the score of the football game or take a midafternoon nap, but leaving food unattended can lead to disaster. Water and food can boil over, grease can spill, and fires can be easily started when food is left unattended over open flames. Always keep a potholder, oven mitt and lid handy while cooking. If a small fire starts in a pan on the stove, put on a flame-resistant oven mitt and smother the flames by carefully sliding the lid over the pan. Turn off the burner. Don’t remove the lid until the food has cooled. It’s also important to ensure smoke alarms are working properly and that a fire extinguisher is available should you need one. More importantly, ensure the fire extinguisher is geared toward putting out grease and electrical fires that are common in kitchens. Long sleeves and hair can catch fire easily over an open gas flame. Be sure to tie your hair back and wear fitted clothing when cooking over the stove. Minimize clutter in the kitchen. Preparing various dishes obviously requires a lot to be going on in the kitchen. However, if you’re not using a burner, shut it off. When certain dishes are complete, remove them from the stove to minimize clutter.